The Batwoman TV series has found its primary adversary. Rachel Skarsten has been cast in the role of Alice in the upcoming DC series alongside Ruby Rose, who made her debut as the titular hero in last year's Arrowverse crossover event, Elseworlds, which marked the first time the character had ever appeared in live-action. The CW will be expanding its already impressive stable of shows based on DC Comics with Batwoman, which is expected to debut this fall, assuming everything goes according to plan. 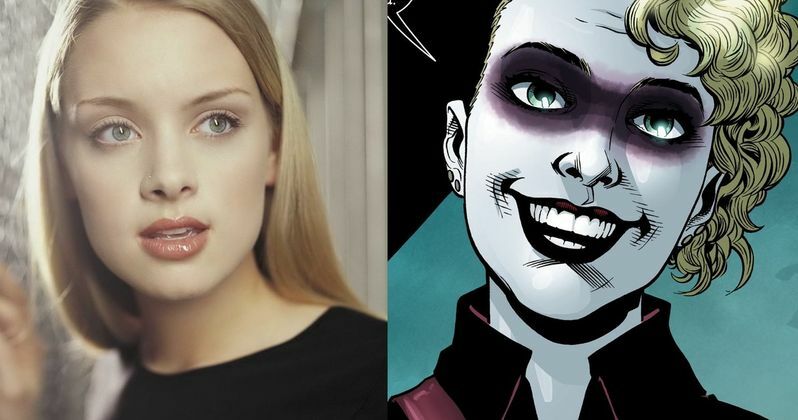 According to a new report, Rachel Skarsten has officially signed on to play Alice in Batwoman. For the time being, The CW has only committed to a pilot for the series, but it's highly expected that it will be given at least a single-season order, given the response to Ruby Rose's debut as the character. Skarsten took to Instagram to confirm the news and to share her excitement. Here's what she had to say about it. "I am thrilled to announce my next adventure. It is a very sweet homecoming for me, both to my favorite DC universe & beloved The CW. Just call me Alice." Rachel Skarsten actually made her debut in the DC universe on the very short-lived Birds of Prey TV series, which aired on The WB between 2002 and 2003 before the network rebranded as The CW. Skarsten portrayed Black Canary on the show. Coincidentally, filming just got underway on the Birds of Prey movie as a spin-off of Suicide Squad. Skarsten is also known for her roles on Reign, which also aired on The CW, as well as Bravo's Imposters and SyFy's Lost Girls. On the big screen, she's starred in movies like The Vow and Fifty Shades of Grey. As for Alice, she is essentially what the Joker is to Batman for Batwoman. Alice is generally portrayed as eccentric and highly violent. She speaks largely in phrases and quotes from the Alice in Wonderland. Though, she denies any connection to DC's Mad Hatter or the Wonderland gang. At one point in the pages of DC Comics, it was revealed she was actually the thought-to-be-dead twin sister of the Kate Kane version of Batwoman, Beth Kane. It's unclear at the present time if the producers intend to explore the family connection, or if they're just going to use Alice as a twisted foe. Batwoman will be significant as it will be the first live-action superhero series to feature a gay lead character. Greg Berlanti, the producer behind the Arrowverse and most of the DC shows on TV, is on board, with Caroline Dries (The Vampire Diaries) also on board to produce. Dries penned the screenplay for the pilot, which will be directed by David Nutter (Game of Thrones). We'll be sure to keep you posted as any further details on the project are made available. This news was first reported by Deadline.